If you are planning a Disney Cruise, chances are you have your tickets printed and your bags packed. You may have researched all of the excursions and made sure you know exactly where your cabin will be. But how can you be sure you make the most of your Disney Cruise? With all of your planning and list making, you want to be sure you find the time to actually enjoy the trip you have been anticipating. 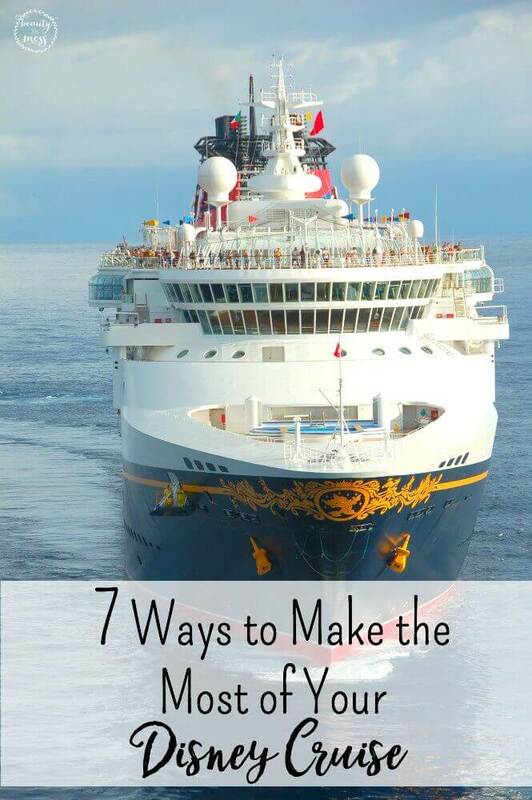 Take a look below at 7 ways to make the most of your Disney Cruise so you can truly have the time of your life. Not sure if your kids are old enough? 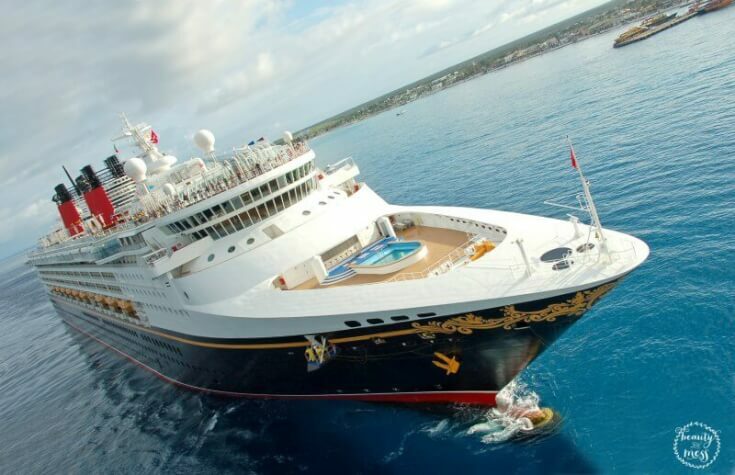 Don’t miss Are Your Kids Ready for a Disney Cruise. Want to make sure it’s worth it? Check out these Seven Perks You Only Get on Disney Cruise Lines. If you love all things Disney, then you are in luck! 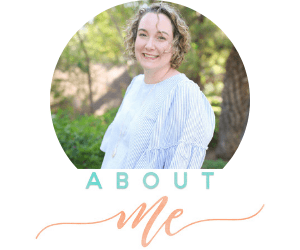 One of the things I love about blogging is meeting other bloggers. Online friendships are great, but it’s nice when you can meet bloggers in real life too. In October of last year, I met Jennifer from Sugar Spice and Glitter and we became quick friends, bonding over our love for all things Disney. So it’s no surprise that we have partnered together to bring you a series about Disney. 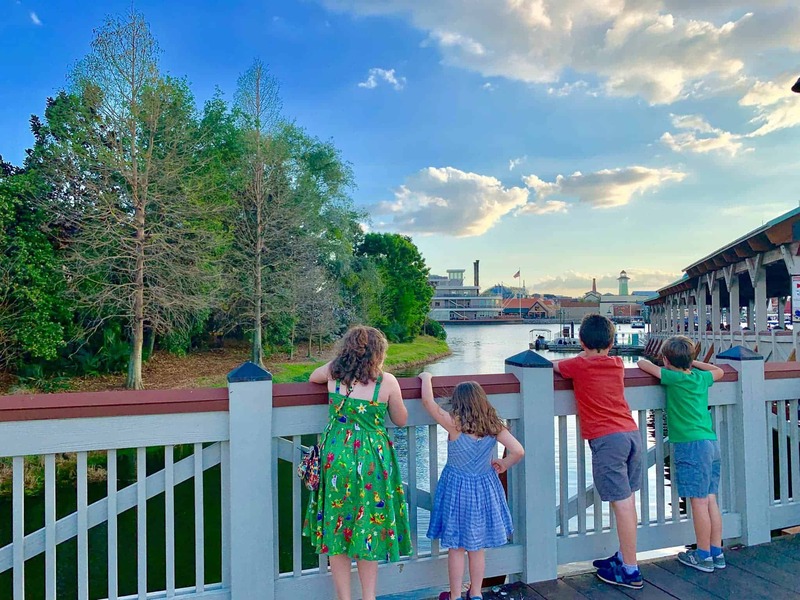 You will find DIY Disney posts, helpful tips as you plan your Disney vacation, what you need to pack, and so much more. If there is anything that you want to learn more about, leave a note in the comments and we will make sure to cover it. Today, you can hop over to Sugar, Spice and Glitter to learn how to make your very own DIY Belle’s Bath Bomb. They are adorable! Perfect for party favors, a special treat for you, or a way to get your kids to actually take a bath. 1. Complete all of your check-ins online. On the Disney Cruise Line website you can register kids for the clubs, book spa services, make dinner reservations, and even have refreshments sent to your room. Complete all of the check-ins and appointments online prior to your trip, so once you get on the ship you are free to just enjoy. 2. Carry a swimsuit on board with you. It may be several hours before your luggage is delivered to your room. Carry a swimsuit on board with you so that you can start enjoying the pools as soon as you board. If you end up having to wait for your luggage, you are missing out on valuable pool time, not to mention waterslide time. 3. Check out the itinerary delivered to your room each night. Each night a cast member will deliver an itinerary to you. Be sure you check it out so you can see upcoming activities, events, shows, club meetings, and other important information. If it is relevant, it will be in the literary waiting for you. 4. Take advantage of the cast members and their cruise knowledge. The cast members are so friendly and kind! If you have any questions or need any assistance they are happy to help. They can make recommendations, give quick and easy directions, or assist you in your planning. Should you need anything to make the most of your trip and your time, they are a wealth of knowledge. 5. Plan on board activities for the “at sea” days. You want to make the most of your island stops. There will be so many activities, tasty foods to try, and sightseeing to do. Therefore, plan any on board activities on the days the ship is at sea. That way you aren’t missing out on any of the island festivities. 6. Check out the ship layout prior to your vacation. The ship is quite large and it can be easy to get loss. Take a look at online maps of the ship so you can get an idea of where you are going once you board. This will save you time from wandering around and you can instead have a sense of direction and save time. 7. Leave your cell phones behind. You won’t have cell service on the ship, so go tech free and leave the cell phone behind in your room. This will allow you to immerse yourself in the ship and enjoy everything. If you want to take pictures, take a camera with you of course so you can capture the memories as they happen. Are you ready to make the most of your Disney Cruise? Give these 7 ways to make the most of your Disney Cruise your consideration, and you are sure to have the most magical time imaginable.